When projects are knitted in the round, it can be challenging to finish the cast-on and bind-off edges so that the jog, or gap, between the first and last stitches is minimized. Figures 1 and 10 illustrate how big that challenge can be. Every cast-on method produces a distinctive edge, as does every bind-off method. Many techniques that address cast-on jogs are generic in nature and focus only on the moment the join occurs. In this article, we’ll look at how to get the best possible finishes for the long-tail cast-on and the cable cast-on, as well as how to finish the bind-off edge when you use the standard chain bind-off. These finishing techniques will maintain a continuous look across the end-of-round to beginning-of-round transition so that the gap is eliminated, the edges are smooth, and the distinctive edge pattern is uninterrupted. The best finish comes from a great start; therefore, every cast-on stitch should be created so that it is identical to the other stitches along the cast-on edge. Next, the join sets up the continuity of the edge between the first and last stitches of the round. Finally, the yarn tail completes the edge continuity, before the tail is woven in. Because the actual steps you take for each cast-on method are different, here are the steps for each. Step 1: Eliminate the slipknot. 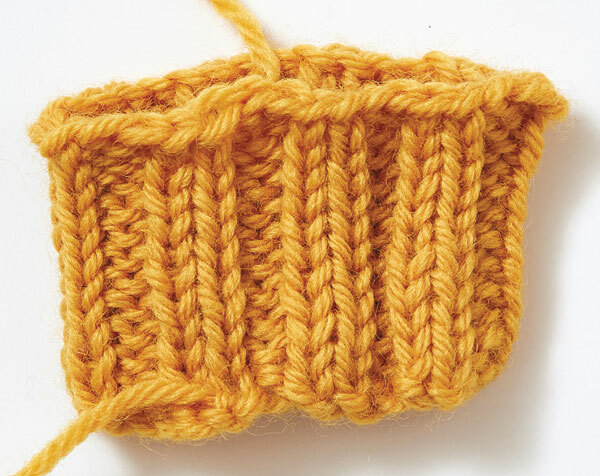 The standard long-tail cast-on edge is defined by a twisted loop at the base of every stitch column except for the first one, which has a slipknot. Start the long-tail cast-on with a twisted loop on the needle rather than a slipknot. 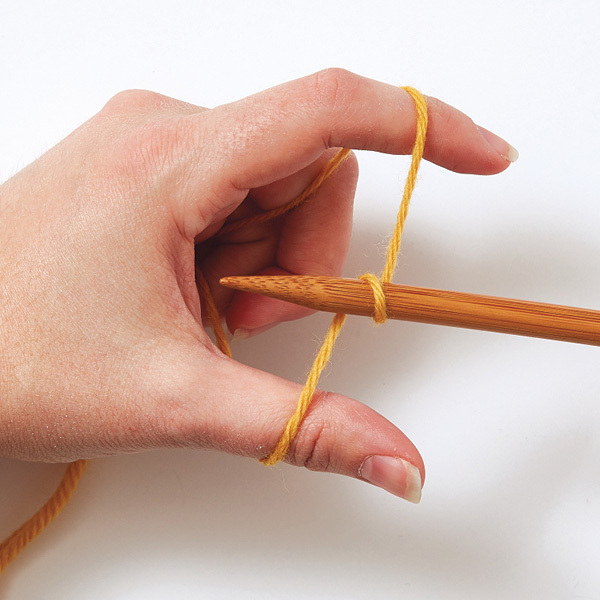 Tension the yarn with the tail over your left thumb and the working yarn over your index finger and the strands held against your palm, as shown in Figure 2. 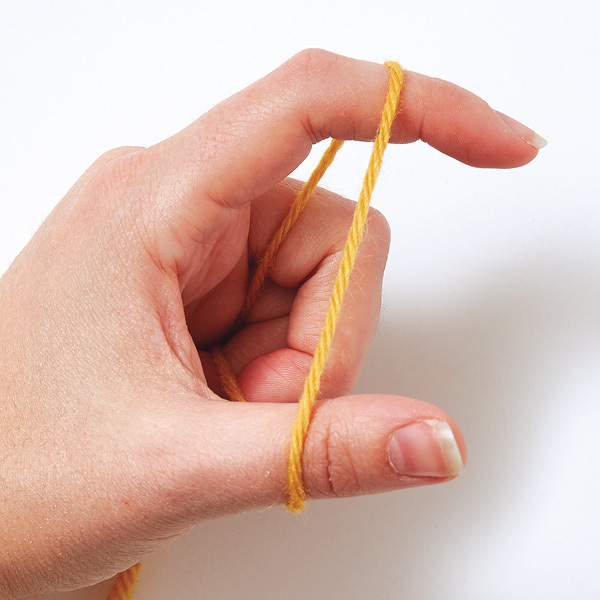 Twist the needle around the yarn to form the first cast-on stitch (Figures 3 and 4). 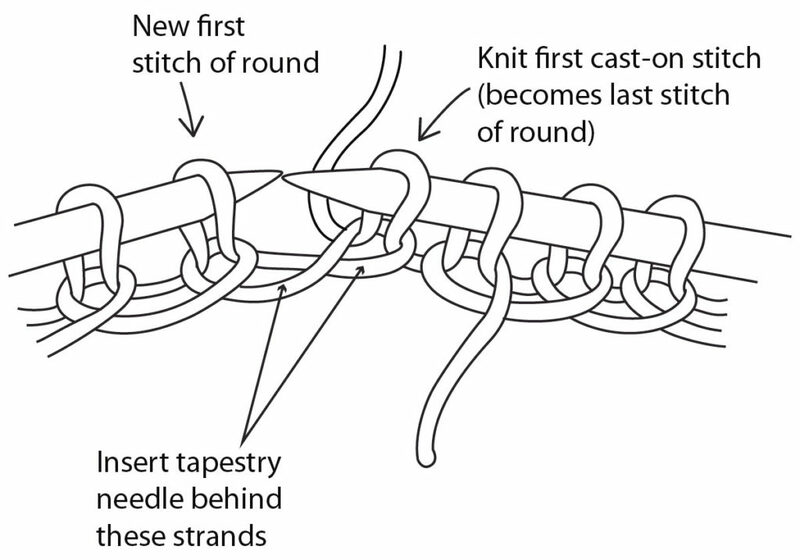 When the long-tail cast-on is complete, every stitch on the needle has a twisted loop sitting below it, under the needle, except for the first cast-on stitch, which consists of a twisted loop on the needle (Figure 5). Both legs of that first cast-on stitch pull to the left, with one leg becoming the strand that forms stitches on the needle and the other leg becoming the strand that forms the twisted loops of the edge. Step 2: Join in the round. Knit that first twisted-loop cast-on stitch (Figure 6) to complete the cast-on process and set up the edge continuity. Every loop along the cast-on edge has now been knitted, and every stitch has a purl bump below it on the wrong side. Place a beginning-of-round marker on the right needle. The first cast-on stitch has now become the last stitch of the round. Step 3: Use yarn tail to ensure a continuous look. 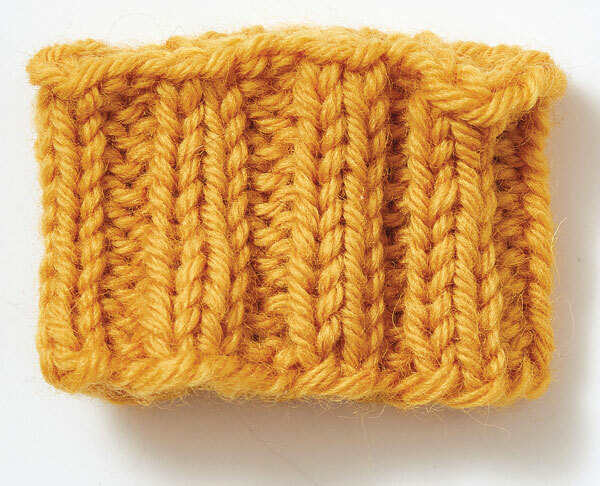 When the piece is complete, use the yarn tail to create the appearance of continuous connected twisted loops across the join. Pull gently on the tail to eliminate any excess slack that may have loosened the edge. Thread the tail onto a tapestry needle. Locate the two legs of the first cast-on stitch, as shown in Figure 6. Insert the tapestry needle behind those two stitch legs from left to right, making sure that the yarn tail hangs below the needle (Figure 7). Note: You are not following the path of the stitch head, but are capturing the legs themselves. Doing so smoothes the edge and eliminates any remaining jog. 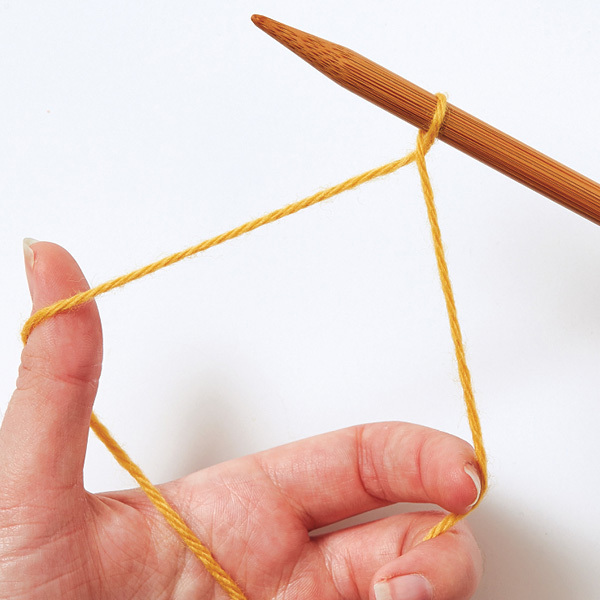 Pull the yarn through and adjust the tension to match the rest of the edge (Figure 8). Weave in the tail by inserting the tapestry needle up through the purl bump at the base of the first stitch of the round, on the wrong side of the cast-on edge. Weave in the tail away from the edge. 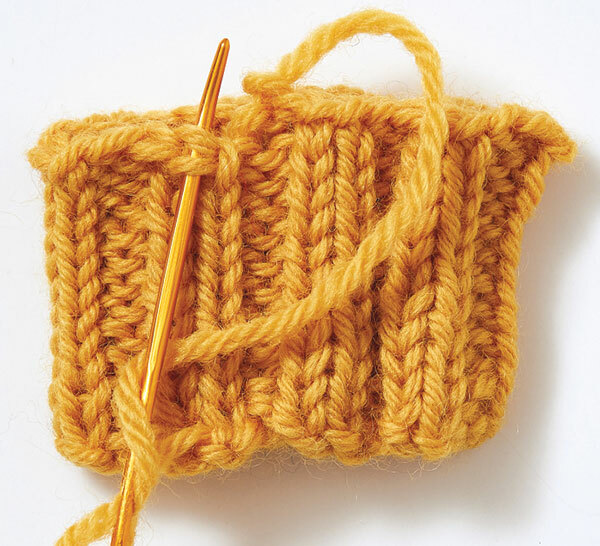 The resulting join is indistinguishable from the rest of the cast-on stitches (Figure 9). 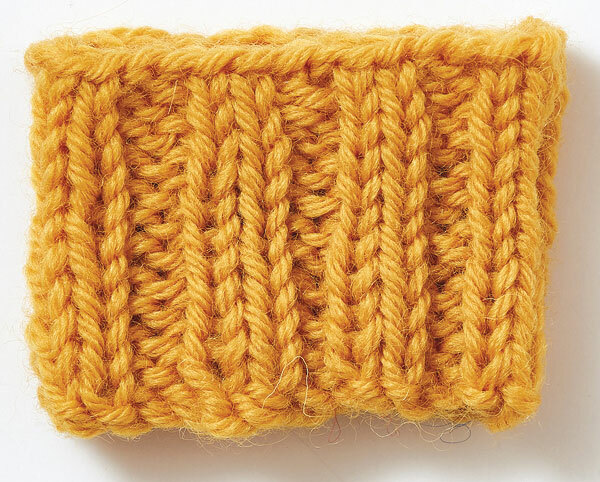 Note: Finding those two legs of the original cast-on stitch can be tricky when it occurs at a transition between purls and knits, as it does in ribbed fabric. Practicing on a stockinette edge—or on an edge where the round ends with knit stitches and starts with purl stitches—is helpful because the legs are easier to differentiate from the adjoining twisted-edge loop. 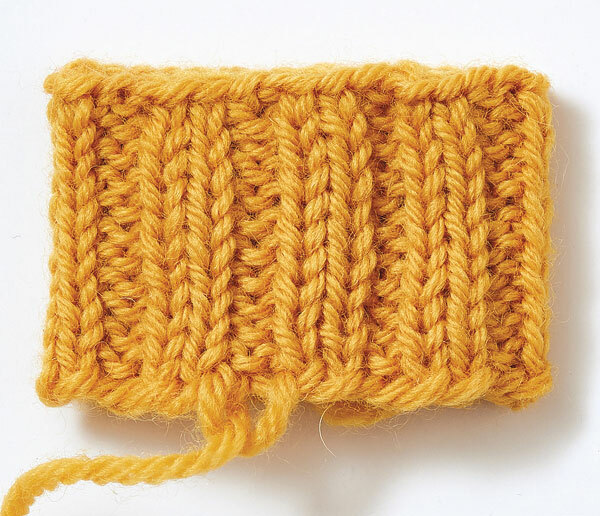 The typical cable cast-on method starts by knitting into a slipknot, which results in two cast-on stitches that are different from the rest of the edge. 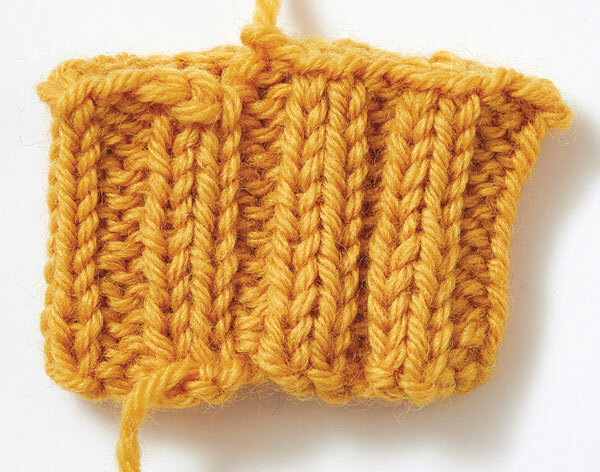 The base of every stitch column except the first consists of a pair of offset horizontal strands, as shown in Figure 10. 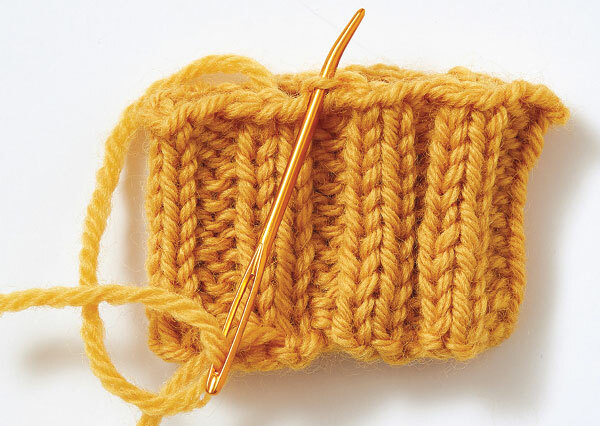 To improve the cable cast-on, you will need to eliminate those two stitches that are different. Step 1: Start with two temporary cast-on stitches. Use two slipknots and/or loop cast-ons, which will later be removed. The first permanent cast-on stitch of the edge will be created by inserting the needle between the two temporary cast-on stitches. This approach ensures that all the permanent stitches of the cast-on are identical. Cast on one stitch more than required and pass the last cast-on stitch over the first permanent cast-on stitch. 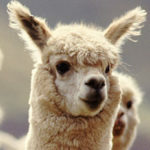 For example, to cast on 32 stitches, you would first cast on the two temporary stitches and then cast on 33 stitches for a total of 35 stitches. Turn the work so that the working yarn is hanging from the right needle and the two temporary cast-on stitches are on the left needle. Slip the two temporary stitches off the left needle, giving the tail a tug to release the stitches. Slip one stitch from the left needle to the right needle and then pass the second stitch on the right needle over the first stitch and off the needle. Return the stitch on the right needle to the left needle. Passing the extra stitch over the first stitch joins the work in the round; at the same time, it creates a horizontal strand that imitates the upper strand of an offset pair. 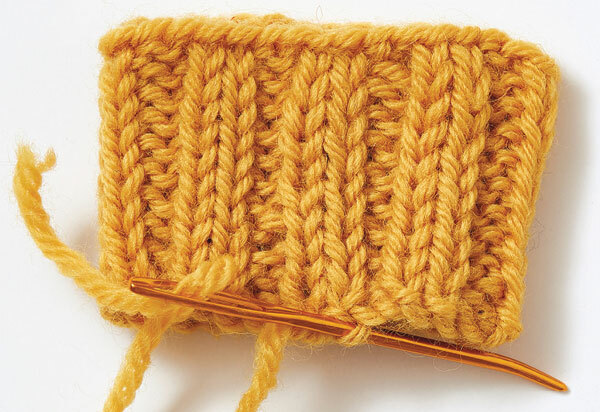 After the piece is complete, use the yarn tail to ensure the continuous look of connected offset horizontal strand pairs across the join. Thread the yarn tail onto a tapestry needle. Insert the tapestry needle into the back of the stitch on the right side of the join, as shown in Figure 11 (imitating the second horizontal strand of an offset pair). Weave in the tail away from edge. You can see the final result in Figure 12. 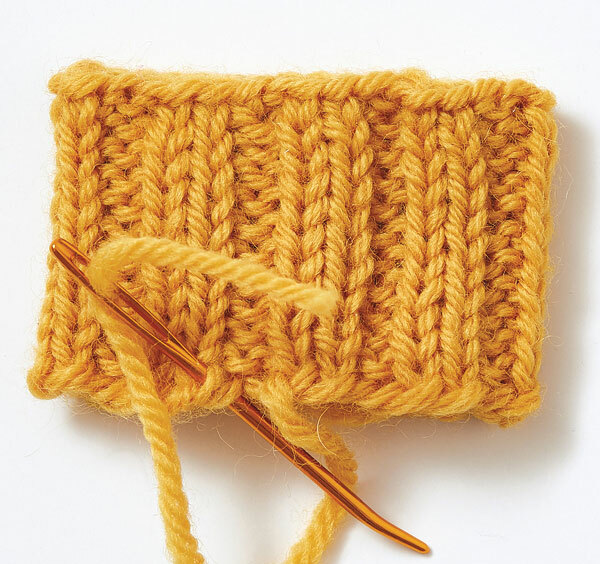 You can create a continuous look between the last bind-off stitch and the first bind-off stitch by creating a chain stitch that connects the two. Step 1: Eliminate the final loop. When the last stitch is bound off, one stitch remains on the right-hand needle. Break the yarn, leaving a 4″ tail. Enlarge the loop until the tail has pulled out through the final chain of the edge. Step 2: Create the final chain. Thread the tail onto a tapestry needle. 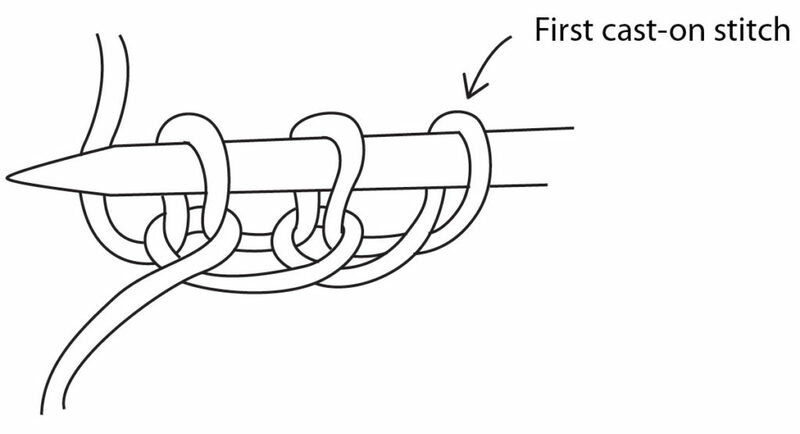 Insert the tapestry needle under both legs of the first bind-off chain (Figure 13) and pull the yarn through, then insert the tapestry needle through the center of the last bind-off chain (Figure 14) and pull the yarn through. This re-creates a chain stitch that joins the end of the round to the start of the round (Figure 15). Adjust the tension to match the rest of the bind-off chains. Getting the best finished result in a project doesn’t just depend on what you do after the knitting is completed. The decisions you make before you cast on, and the techniques you use while you’re knitting, have as great an impact on the final results. 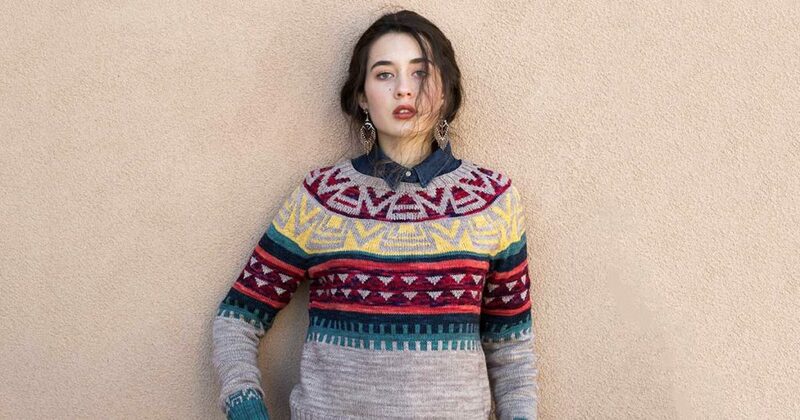 This article was originally published in Interweave Knits Summer 2018. Roxanne Richardson is a certified master handknitter living in Minneapolis, Minnesota, where she designs and teaches. Her weekly knitting videos can be found on her YouTube channel, Roxanne Richardson. 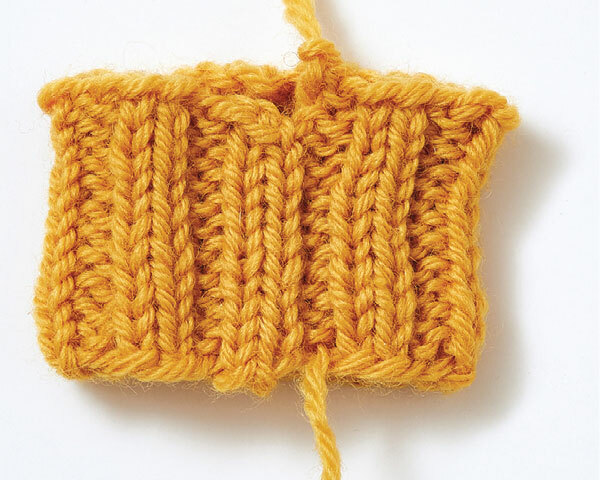 Find more tech tips in the pages of Interweave Knits!